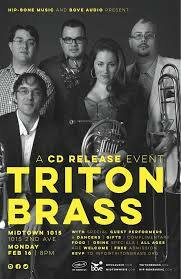 After fourteen years, Trtion released its first cd, “Triton Brass”, which was celebrated with their first performance in New York City. 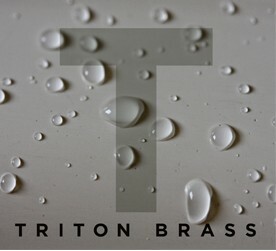 Triton Brass has re-emerged, like a fine wine whose best vintage is yet to come. Re-tooled with bass trombone and a formidable line up, they plan to perform and teach with The Atlantic Brass Quintet at the 22nd annual International Atlantic Brass Quintet Summer Seminar. Former Fischoff and Lyon chamber music competition winners and the brass quintet in residence for five years at Tanglewood, “FIVE” tm is pleased to bring you The Triton Brass…Enjoy! 1. How does a New York girl end up going to college in Boston? Can you compare performing as a freelancer in New York to Boston? Oh, man…when I graduated from high school, I could not WAIT to get away from home. Boston was perfect for me at the time as it was “far away” from Long Island without being “far away” 😉 As soon as I got to Boston the first time, I felt the energy and the vibe that all those students in ALL THOSE SCHOOLS (!!) within the city’s limits creates. There’s no city like it. I miss it terribly when I’m away for long periods. Thank god for the quintet, I get to see it on a regular basis and still consider it “kind of” home. and on the artistic side? My experiences at Boston College and getting a B.A. in the liberal arts have equipped me with a breadth of perspective and skills that help me through life, no question. I use my writing skills on a regular basis, and the broad perspective I got there enables me to 1. withstand life’s ups and downs better than if I were to have a really limited view on things and 2. provides a greater artistic vocabulary to better express musical ideas through the horn. As soon as I finished my Bachelor’s, I plowed full steam ahead into the horn as a graduate student and a mature adult that had a handle on what I needed to do, how I needed to go about it, and where I wanted it to take me. I may not have known it at the time, but it was the right path for me. There was no way I could have sussed all that out at 18. I was a mess at 18. We’re all a mess at 18, lol. Ok, maybe not all of us, but I definitely needed a little more time to steep. 3. As a horn player, your instrument and the tuba share a conical timbre. The bass trombone presents an evenly matched quartet of cylindrical instruments. How do you change your approach when blending with a tuba-bottomed brass quintet, as opposed to one with bass trombone? For me, in Triton, having a bass trombone as opposed to a tuba totally establishes a fat, homogeneous, giant bass foundation upon which I can do exactly what I want musically, which is amazing. I can just ride, blend into, push up against, or battle all the sound around me – whatever the music calls for. I love it, it’s freaking awesome. It’s really a giant, warm, musical canvas. When Triton dealt with a personnel change a few years ago, Angel was the logical choice….I don’t think we actually ever even had a conversation about it as a group. It was that easy, and we’ve not looked back since. What strengths and weaknesses do you see in the US and Venezuelan music education offerings? This is a very hard question but I will do my best to explain as concisely as I can but this is just my humble opinion on this matter and could (and probably should) be discussed much further in detail. The three main differences that I notice between Venezuelan (El Sistema) music education and the United States music education are: the funding, the performance opportunities and the importance placed on music in society. El Sistema is a forty year old, free music program open to the public that is sponsored fully by international institutions and the government. The students are provided with great instruments from the beginning of their studies. It is an after school program and since El Sistema has become such a powerful and successful program, classical music has become very popular. It is now a huge part of the culture in my country. There are a lot of concerts and weekly performances. Even the kids who have been playing for a few weeks perform on the regular basis, sometimes even twice a week. This keeps the kids excited and wanting to get better for the next performance. The better you are, the more opportunities you are allowed. You play with better orchestras, musicians, participate in national and international tours, etc. This is a huge motivation. Also, all the concerts are sold out. The main stream culture places a huge importance on these events for both the performers and the audience members. They are excited to be there because people know that there is a big chance that even kids who are just starting out could, in a few years, become super stars. I remember Edicson Ruiz, now a bass player in the Berlin Philharmonic, running around and playing soccer every time the youth orchestra had a little break from their rehearsals. I believe he was 7-8 years old at the time. And who would have guessed that he would become the youngest member of the legendary Berlin Phil just a few years later. From what I can tell, it is very different in the United States. Music programs are part of the school and unfortunately, many of them are poorly funded, if they are funded at all. Instruments are rarely provided by the school and if they are, they are usually in poor condition. The playing opportunities are very limited, with maybe one to two concerts a semester. These are usually also poorly attended because the music is not appreciated by the general public in the United States. This is also true for professional groups as well. I don’t think is fair to compare because the culture and the way the systems work in these two countries are very different. There are a lot of great benefits about being a musician and studying here in the US. Certainly my success and the career I have, I owe it to my teachers and mentors. And I am very thankful for the schools (Boston Conservatory and New England Conservatory), that gave me the opportunity to experience the structure of being a student in America. Even though I believe there should be changes and more flexibility for every individual case, since we are all different, without this education and structure that comes with it, I would not have had the opportunities that have come my way. Yes, I worked hard but being in the right place at the right time and being ready is the key. You never know when you are going to get “That call”. Again, this is a fascinating topic and should be discussed much more than this but I feel that this is the best opinion I can give on the matter for now. 2. What are your doubles, and how do you practice switching back and forth? Tenor Trombone and Contrabass Trombone. I have a very particular daily routine which is all on Bass Trombone. When that is done, I make sure I spend time on tenor. The work I do on tenor is mostly playing lead trombone in Latin bands. When I play these gigs, the physical and mental approach to playing this style of music is a total one eighty of what I do when I play Bass or Contra in any ensemble, especially in the quintet setting. After my routine is done, at some point in the day, I aim to have a session where I practice going back and forth 10-15 minutes on each horn and do that for an hour or two. I love practicing so I enjoy the process. But I should stress the importance of also spending the time to get to know each instrument well on its own before you try and go back and forth too much. Now, according to Facebook I play Harp, Tuba, Double-Bass, Contra Bassoon, English Horn, Bass Flute, Piccolo and Tambourine, also I am a very successful conductor. If it is on Facebook, it must be true. 3. How do you approach articulation in the quintet, especially low and fast? Well, The beauty of playing in a brass quintet is taking advantage of the variety of articulation and colors the group can have. 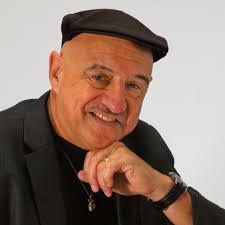 I’ve always loved playing different styles of music Latin, Jazz, Classical, Funk, etc. When I am playing in the quintet, I experiment using different types of articulation until I find a sound that I feel blends with everyone else in the group. Obviously, listening to and playing different styles of music has influenced my playing. And depending on the difficulty of the passage, sometimes using a combination of double and doodle tongue on a low-fast passage makes it sound more clean and easier. Having all these different colors and articulations in your playing makes practicing and playing much more fun. And sometimes, you just have to practice articulating low and fast. 1. 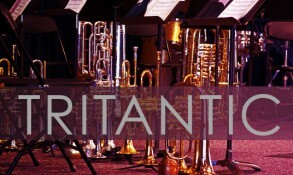 As a member of two accomplished brass quintets, both Triton and Atlantic, you are in a unique position. What have you learned from the competitions won with each group. -I’ve learned that winning a competition is less important than preparing for a competition. Preparing for a competition in a chamber ensemble allows you to get to know your colleagues intimately, and how the dynamic of the group operates as a unit. The marriage of chamber music makes or breaks an ensemble, and a healthy relationship between quintet members is crucial to perform well together. Although winning a competition gives an ensemble credibility to presenters, the preparation defines your repertoire, image and vision for the future. 2. The musician makes the difference, not the instrument, but what types of advantages come with tuba or bass trombone on the bottom of a quintet? I was first surprised to notice that there is no loss of sound in a quintet that uses tuba verses bass trombone. They are an equivalent entity. The obvious advantage of having a tuba, is it creates a broader aura of group sound that blends great with repertoire like the Dahl Quintet, Ewald Quintets and my composition Voices In Da Fan. On the flip side, the more directional blend the bass trombone creates works really well with repertoire like Plog, Paquito D’Rivera, and my other quintet piece Mental Disorders. 3. What have you enjoyed most about the growth of your chamber music program? 1. What connections have you made from mathematics and science to music? Has it changed how you blow your horn or aim it? At MIT I wrote my physics thesis on how the structure of a trumpet (for example, where you put the braces) affects its timbre. That’s definitely given me a different set of tools to think about how to change the colors of the instrument while I play. I definitely enjoy finding the patterns in crazy polyrhythms, and I think that’s been incredibly useful in fitting into new music ensembles over the years. Ultimately, I think that just like everyone else, all of that becomes part of the background when I perform and am trying to do my actual job of communicating with the audience. 2. What is the Tanglewood experience like for brass? Very intense! The literature is challenging, everyone in the orchestra (all the way back to the last stand 2nd violin, who might be concertmaster next week) is giving their all, and oh by the way, the entire Boston Symphony brass section will be at the concert, so please try to do a good job… I was there 15 years ago and I can still vividly remember the expressions on James Conlon’s face as he, the audience, and I all negotiated when I was going to start Mahler 5. 1. Tell us about WGBH and it’s significance in New England. What was it like to be to play brass quintets for an audience of 30,000? WGBH is the dominating public broadcasting force in New England. Their studios are in Boston, but their reach is certainly worldwide with acclaimed series Nova, Masterpiece, Frontline etc being produced here. Wether it’s recitals for massive audiences such as the WGBH events, feature music at Fenway Park or for 15,000 at the winners concert in Lyon, France, I’ve found that when we’ve played for very large audiences the energy is amazing, but it was a bit less personal and harder to connect. In some ways that makes it less stressful. As long as the audience digs it, I don’t have a preference in number. Connecting with one person is enough! 2. Do you approach articulation differently in a quintet dominated by valved instruments as opposed to a section of trombones? Does bass bone instead of tuba in the quintet change the articulation equation? I just do my best to keep up! Playing in a quintet and playing in a section certainly have similarities. I don’t think I play so differently in either setting. Rather, it’s the setting that has different requirements. Basically, quintet music is significantly more demanding technically than the average orchestral work. So of course I’m forced to play more lightly to keep up with the more agile instruments. Having bass trombone instead of tuba changes everything and changes nothing. 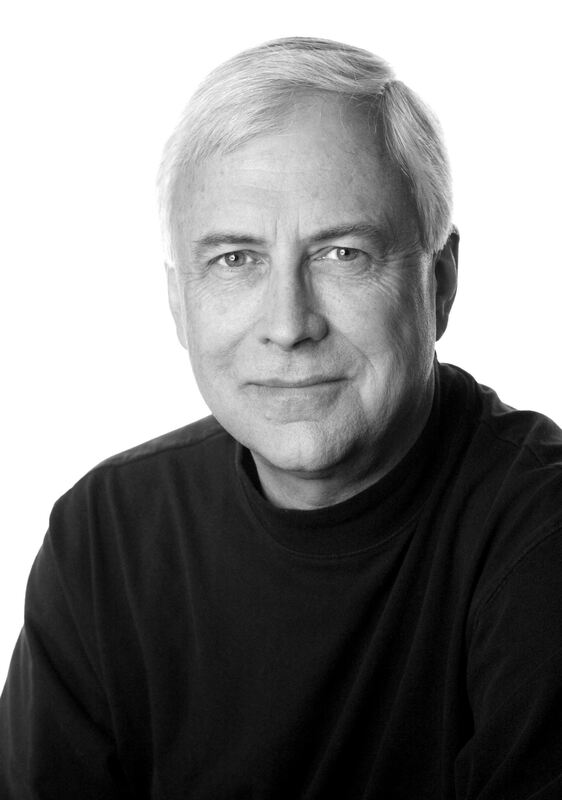 The modern bass trombonist, certainly Angel and other successful quintet bass trombonists like John Rojak or Dave Taylor, can make a very wide sound effectively eliminating the necessity of the tuba in quintet. But all things being equal, the bass trombone still has a smaller core of sound. So, you kind of get the best of both worlds…a wide, lush foundation, but a core that is easily identified for the purposes of pitch, blend and indeed articulation. Since I don’t have to use such a wide sound to bridge between the tuba and horn, the articulation too is easier and clearer (I hope!). What are your thoughts on .547 bore as opposed to .525 bore tenors in the setting of brass quintet? I play .547 bore almost all the time. There is really very little difference between a modern .525 and .547 trombones. Most if not all companies use the same bell/valve combination on both and just offer a different hand slide diameter. Sometimes they are found with a slightly smaller bell; 8″ rather than 8.5″, but not always. If the same lead pipe is used on both horns and no other change is made the difference is practically inaudible until you get to very loud dynamics (where the .525 can’t compete). If the .525 is a small shank instrument where the mouthpiece must be changed, then the sound will be quite a bit different, most often in the direction of a commercial trombone sound. But, for that I prefer to go to a .508 bore instrument personally. Mostly (completely) it’s about the sound you hear.